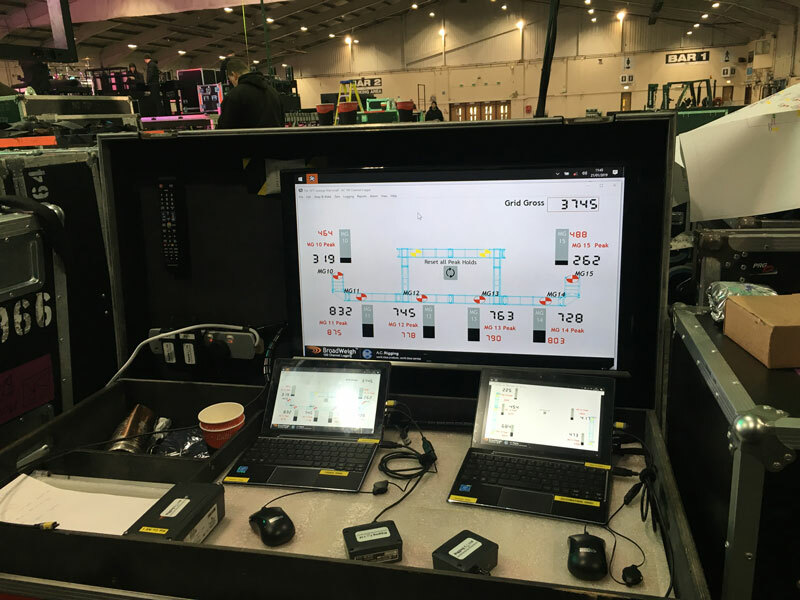 BroadWeigh’s new TwistLink has taken to the road for the first time with Brit Award winners, The 1975. 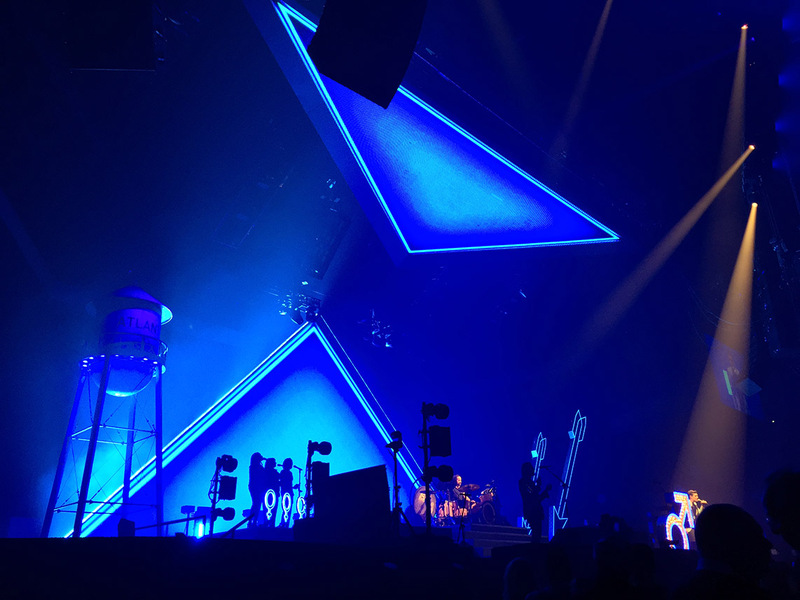 Having played the first gig of their huge UK arena tour at the SSE Arena in Belfast on January 9th, the band went on to play at another 10 of the country’s biggest venues including London’s O2 Arena, over the course of the month. 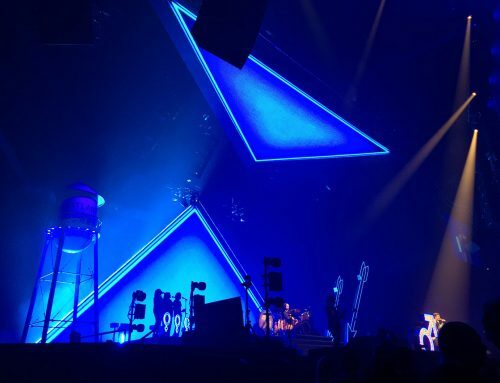 Now, as winners of the Best British Group and Best British Album at this week’s Brit Awards, the band is preparing for a move onto South America in March, North America from April until June and then into the European Festival season where they’ll headline the main stage at Reading and Leeds festival. The tour is set to resume and continue until sometime in 2020, covering Australia before going around the continents for a second time. 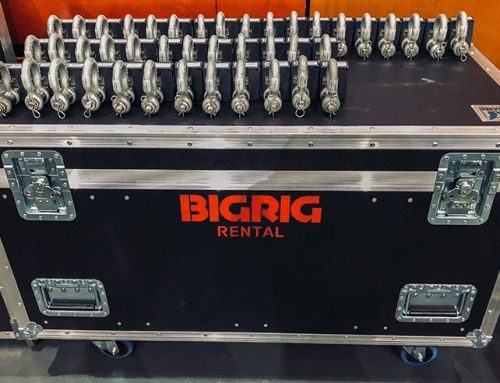 Chief Rigger, Simon Lawrence from Rigging Co, Ltd knew that BroadWeigh would be the perfect piece of kit for this demanding tour which requires 14 articulated lorries to transport the set, two of which are solely for rigging, hoists, automation and the mother grids. 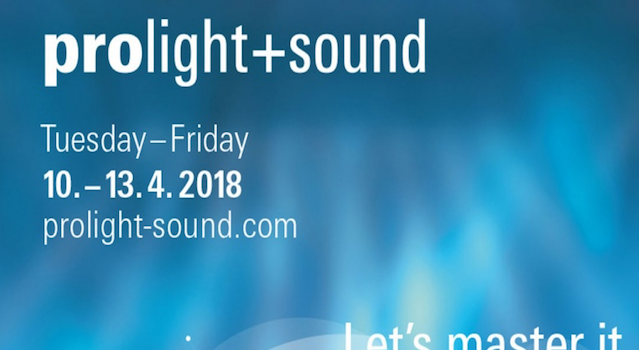 “While the show isn’t particularly heavy at forty tonnes, compared to many large productions, it is particularly heavy in a very small, densely populated area in the roof. With the design, we do not have the ability to move things to reduce the loads in the arena, so knowing what is going on is vital. We own our own BroadWeigh kit, so for us it was a real ‘no-brainer’. However, we had to push hard with management to make them understand their roles and responsibilities in the eyes of the law and why, really, load monitoring isn’t just a ‘nice’ to have’ but a necessity,” explained Simon. In total, Simon is using 17 x 4.75 tonne load shackles fitted with BroadWeigh’s new TwistLinks that are used to monitor the weights of the production’s two mother grids. 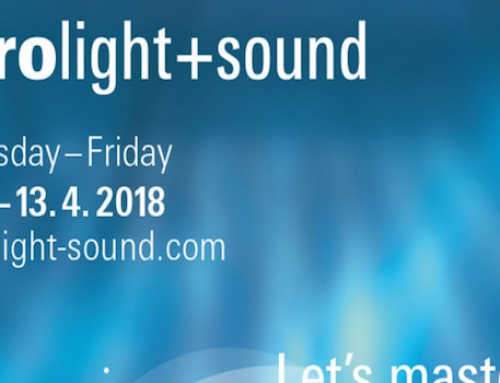 “We have been eagerly anticipating the release of the Twist Link after seeing the prototype in late 2017,” comments Simon. ” We wanted it particularly for the touring situation where speed and efficiency is key. 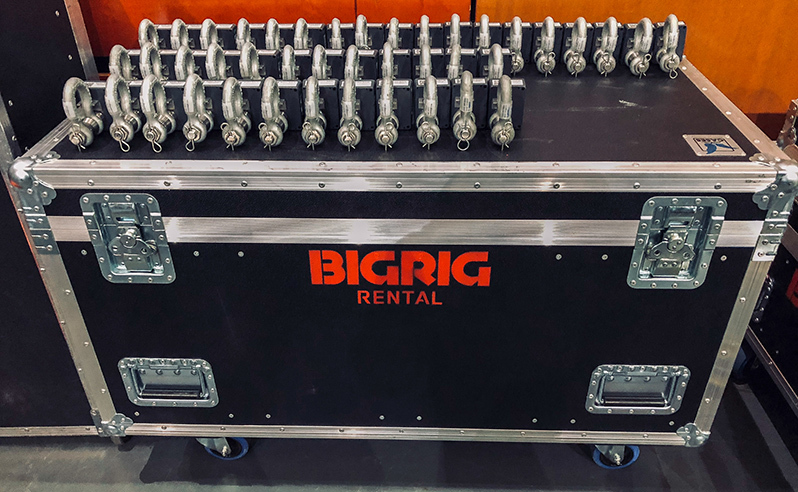 Being able to pull the load shackle out of its flight case, quickly clip it onto the hoist and be ready to make the connection – what more could you ask for? The pin is rotated so rotational force is reduced and you can also position the aerials, which are inside the transmitters, in the direction of the receivers on the side of stage. Previously I was adding a second 4.75 tonne shackle pin to pin and this takes time. 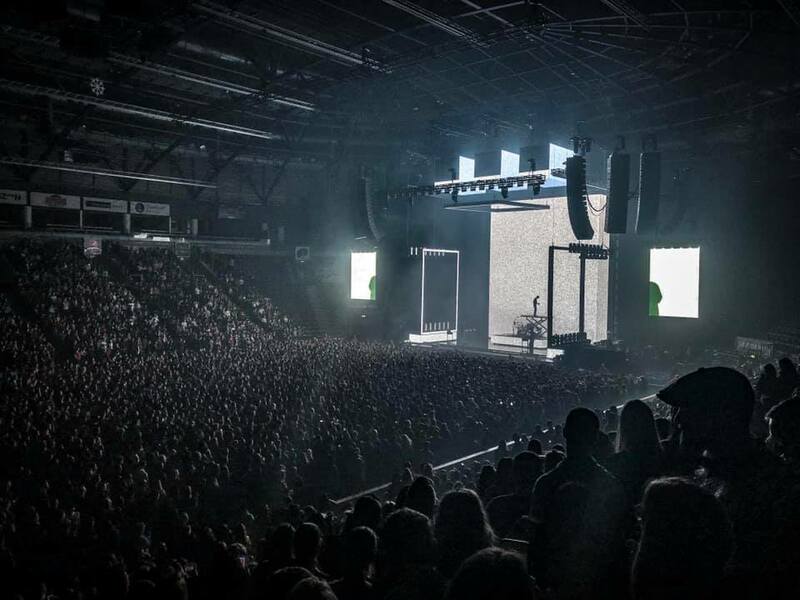 We may only have 17 cells but if each one took 5-7 minutes, twice a day over 200+ shows, then over the course of the tour that’s a significant amount of time savings to be made”. The second BroadWeigh product in use on the tour is the Wind Speed Sensor. Using BroadWeigh kit, Simon is making huge time savings and increasing efficiency. 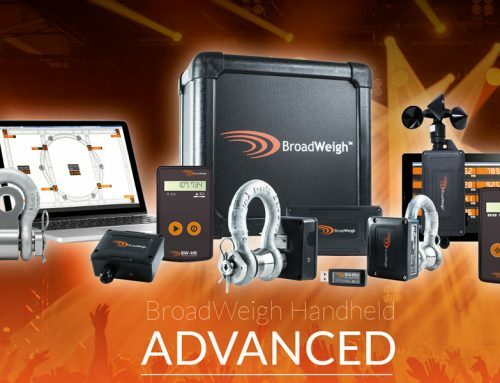 The Rigging Company purchased its own BroadWeigh kit via A.C Entertainment 18 months ago. 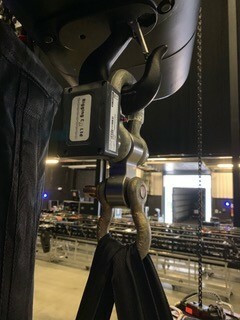 In that time, they have used the TwistLink load cells and Anemometers on The 1975 tour, used load cells on the last James Arthur Tour in the UK as well as The Chain Smokers European Memories tour in 2018.